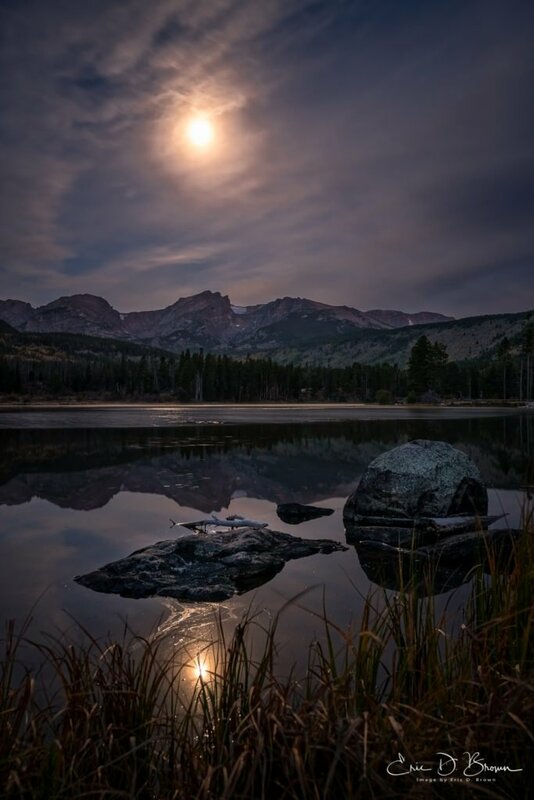 Foto Friday - Moon over the Rockies - Eric D. Brown, D.Sc. I recently spent a (way too short) week in Rocky Mountain National Park. Luckily while there, I was able to make it out every morning to try to get some good sunrise / early morning photographs..
Made with Sony A7rIII and Sony 16-35 2.8 GM Lens. Click the photo to be taken to a larger version on 500px. See more photos at my dedicated Photography website. If you like my photography, feel free to support my addiction habit by purchasing a copy for your wall and/or visiting Amazon (affiliate link) to purchase new or used photographic gear. Purchase a copy of Moon over the Rockies.